The result is shortages of products like piperacillin-tazobactam, an antibiotic combination used intravenously in intensive care, which has been in tight supply since a 2016 explosion at a Chinese pharmaceutical ingredients factory. Another antibiotic, benzathine penicillin G (BPG), faces shortages in at least 39 countries, including Germany and Brazil. BPG is a key drug for preventing transmission of syphilis from mother to child and the shortage frustrated Brazil’s efforts to bring a disease outbreak under control between 2012 and 2015. BPG is also used to fight rheumatic heart disease. In absence of the right drugs, patients may take less effective or poor quality medicines that increase the risk of antimicrobial resistance developing. Global demand for antibiotics has grown by two-thirds since 2000, driven by population growth and the need for medicines to fight infectious diseases in low- and middle-income countries. Most antibiotics are cheap, off-patent generic medicines, which is good for affordability. But that also means they have very low profit margins – particularly compared to modern drugs for diseases like cancer – offering manufacturers little incentive to invest in new production facilities. 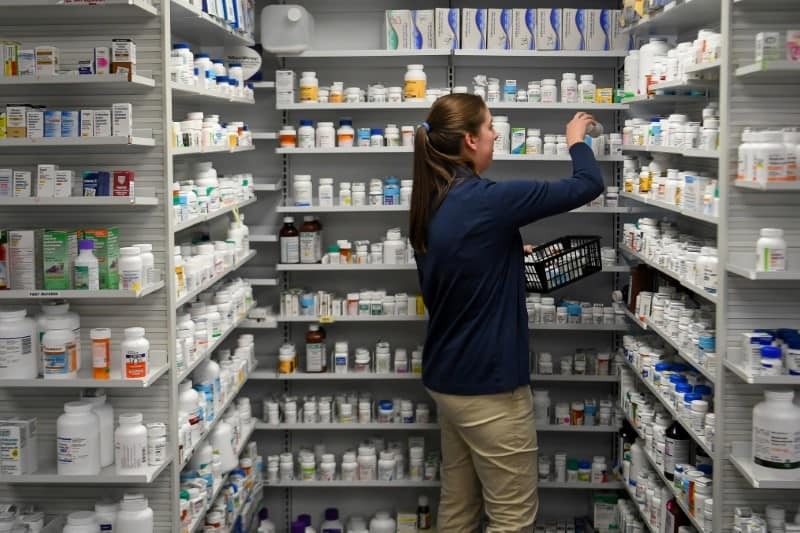 The rise in shortages has gone hand in hand with a wave of consolidation among the companies making generic drugs – which range from global pharmaceutical giants to smaller firms in countries such as India – reducing the number of suppliers making individual product lines. Sporadic drug shortages are not unique to antibiotics. Recently, for example, there has been a worldwide shortage of Mylan’s <MYL.O> market-leading EpiPen emergency allergy device. But antibiotic shortages can have especially dire consequences, since doctors have to resort to sub-optimal treatments that are less efficient at killing specific pathogens, leading to the rise of resistant bacteria or so-called superbugs. An estimated 70 percent of bacteria are already resistant to at least one antibiotic that is commonly used to treat them, making the evolution of such superbugs one of the biggest threats facing medicine today.